I got a new set of border dies and thought this one was especially pretty. I put a yellow panel to the back to better show the design and add more color. 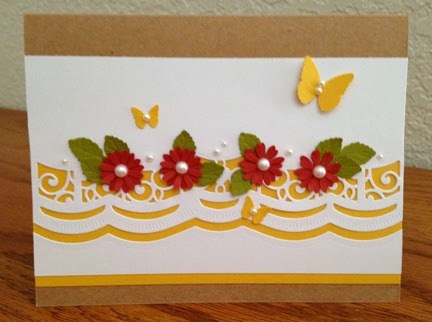 Flowers and leaves are punched and I added half pearls for a little dimension. This could be made in different color schemes and would be good for lots of different occasions.